Pew Research Center, "Global Views on Morality: Abortion" Accessed from:http://www.pewglobal.org/2014/04/15/global-morality/table/abortion/ on March 15, 2016. Mari Fitzduff, An Introduction to Neuroscience for the Peacebuilder. Accessed from http://heller.brandeis.edu/coexistence//students/AnIntroductiontoNeurosc... on March 15, 2016. Slide 2 West Bank: Wikimedia commons. Public domain. Vaccine: By Amanda Mills. Public domain CC0. GMO protest: By Rosalee Yagihara from Vancouver, Canada (032A3231). CC BY 2.0 via Wikimedia Commons. Slide 3 Girl in Muslim headscarf: By Youharman. Permissions: CC. Slide 5 United On Earth. Openclipart. Permissions: Public Domain CC0. Maasai Adumu By Brutere (Own work) [CC0], via Wikimedia Commons. Slide 6 Red state, blue state. By Angr (self-made; base map is Image:Blank US Map.svg) CC-BY-SA-3.0 via Wikimedia Commons. Strict father. By Average Joe. Permission: CC BY-NC-ND 2.0. Mother and daughter. by Imagebang@gmail.com Permission: CC BY-NC 2.0. 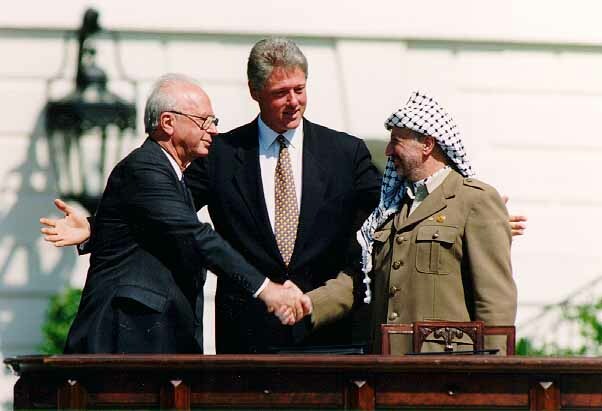 Slide 8 Arafat, Rabin & Clinton. By Vince Musi / The White House [Public domain], via Wikimedia Commons.